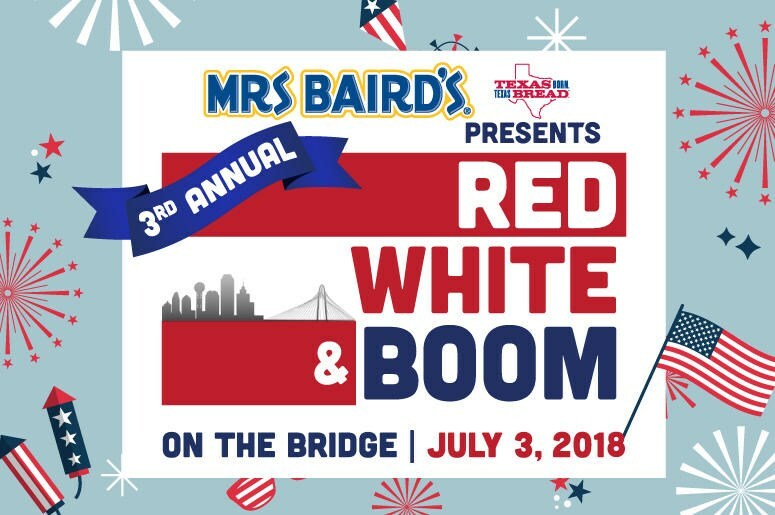 For the 3rd consecutive year, Mrs Baird’s “Texas Born Texas Bread” Presents the City of Dallas and 98.7 KLUV’s Red White and Boom on the Bridge, Tuesday night, July 3rd. 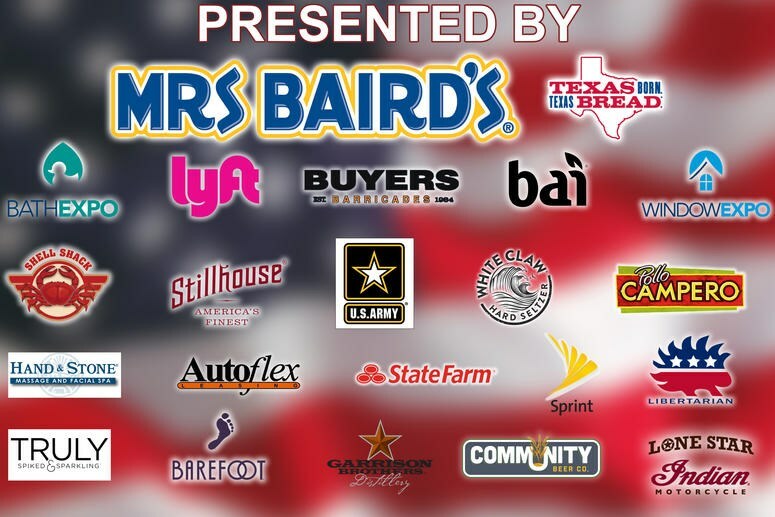 Come celebrate America’s Independence Day with live music, family activities, and plenty of great food along the Ronald Kirk Bridge, The Felix Lozada Sr. Gateway and the Margaret Hunt Hill Bridge in Downtown Dallas. 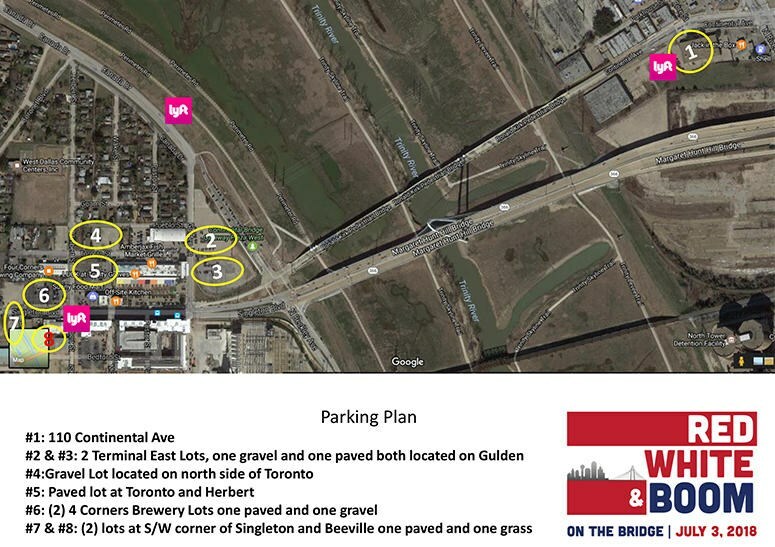 At the gateway to West Dallas, you’ll find music and food trucks starting at 6 p.m. 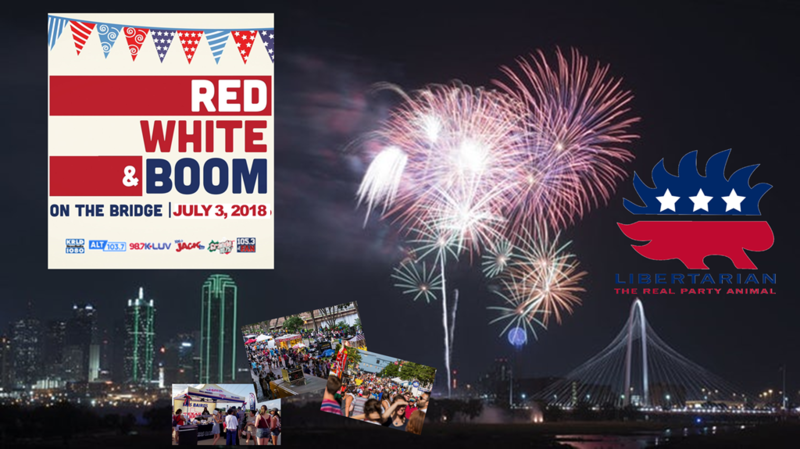 The fireworks come a little bit later, their sparkle just enhancing what’s already a pretty nice view of the skyline and bridge.